Throughout her career Ann Wroe has constantly confounded expectations, following her own unique path. 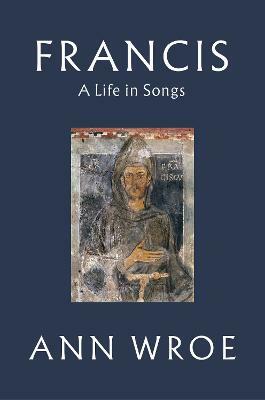 Now, in Francis, she turns to verse to tell the life of St Francis of Assissi. This is a sequence only Ann Wroe could write, combining a troubadour's musicality with full grasp of the moment, and a luminous sense of Francis as both myth and man, across history and culture, in nature and community. It is a remarkable and immensely beautiful book. St Francis was one of the most compelling spirits the world has seen. He was also a poet, a musician and a dancer. His world was coloured by troubadour lays, brightened by birdsong, ordered by the bells and chants of the Church and transfigured by the angel-lyres he heard about him. For Ann Wroe, this seems a good reason to write his life in songs. It is also an excuse to record, in songs, the many ways his presence and his music still linger round us. They surprise us in chance encounters in city streets; they waylay us amid the humdrum banalities of working life; they persist in the beauties of nature. Great spirits never leave us. They echo on and on.